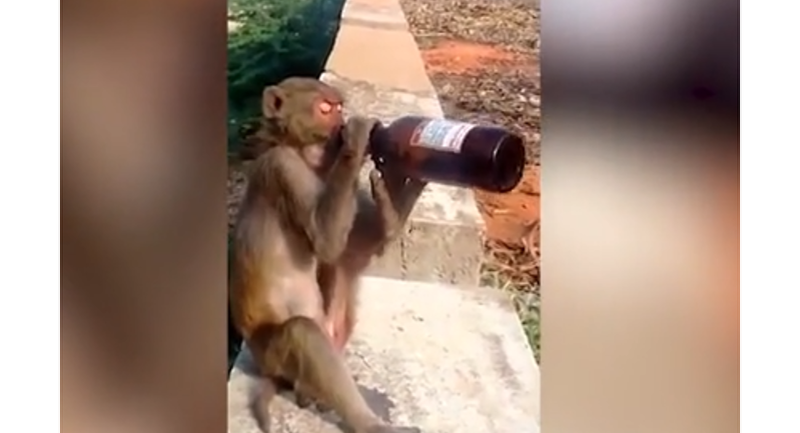 A cheeky monkey stole a bottle of beer in India from passing male tourists, and, without hesitation, took a sip of the alcoholic beverage. 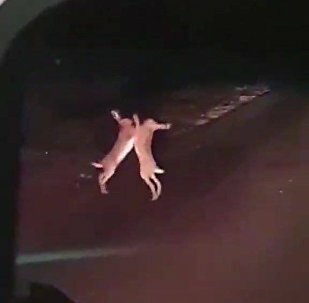 The out-of-the-blue robbery took place in the Indian town of Rajampet. After stealing the bottle, the monkey immediately started treating it like its own, while the victims of the petty theft took the opportunity to film the sticky-fingered simian. One of the men attempted to retrieve the booze but erred on the side of caution, as the monkey started behaving in an increasingly raucous manner.